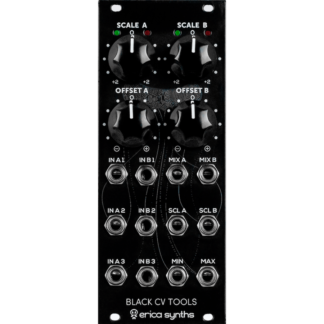 ‘Multiples’ are the classic solution to a common problem in modular synthesisers: how to distribute one output signal to multiple inputs. 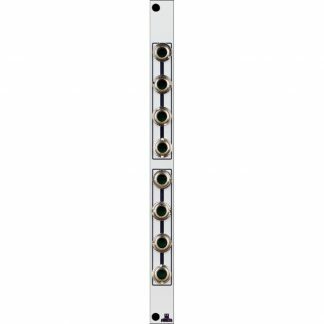 Simple passive multiples consist of several sockets, wired together. 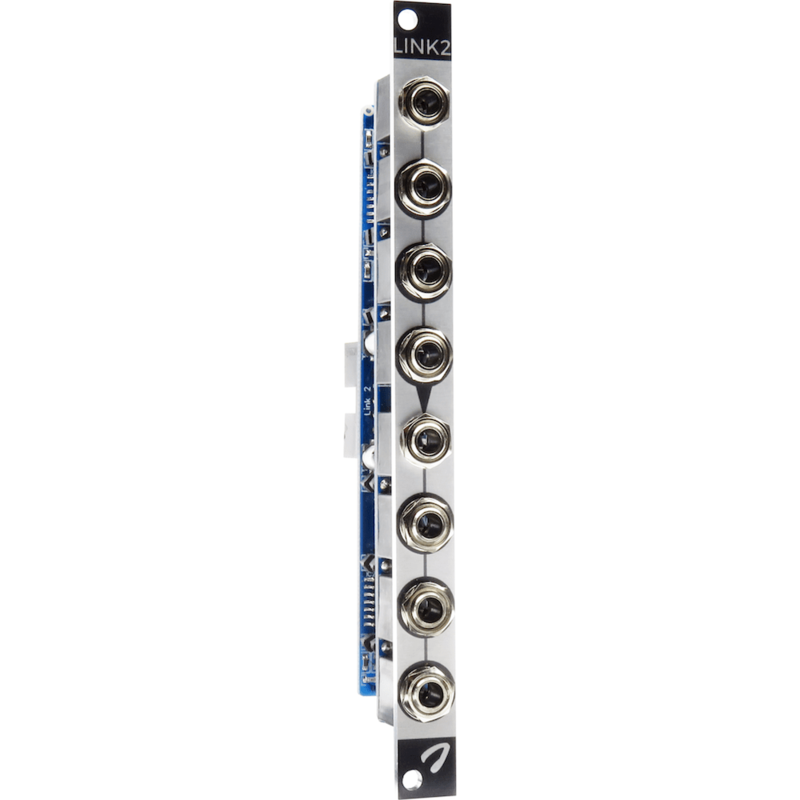 Link 2 is a buffered multiples module. 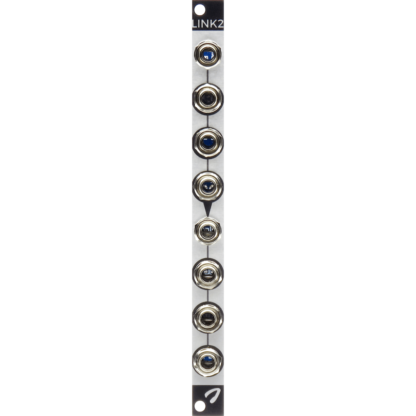 Each output is independently buffered using active electronics. This avoids many of the problems with passive multiples: signal cuts when patching cables, loading effects when driving many inputs etc. 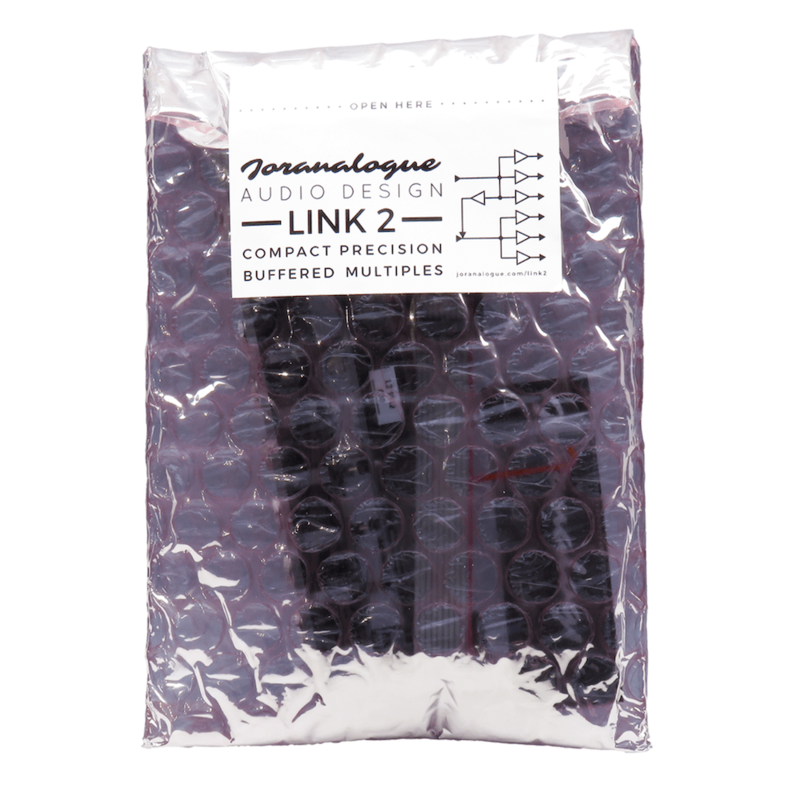 The high-end components provide exceptionally low noise and distortion, making Link 2 suitable for audio, CVs and gates/triggers. 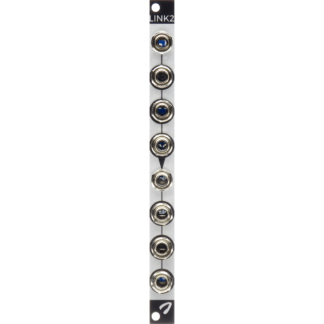 And unlike most buffered multiples modules currently available, it retains the accuracy of pitch control voltages to the last cent. With only the top input socket in use, the signal is sent to all 6 outputs. 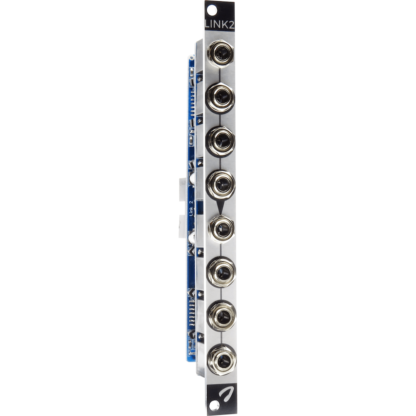 Plugging a cable into the bottom input socket separates Link 2 into dual 3-way multiples, adding flexibility to your patching. Precision buffered multiples in an ultra-narrow 2 HP. 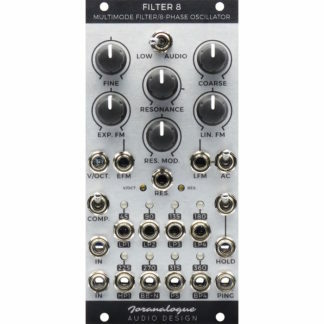 Can be used as 1-to-6 or dual 1-to-3. High unity gain accuracy, very low offset, noise and distortion, flat bandwidth to 20 kHz: suitable for any signal.